below is an extract from an email i received today. the crazy thing is it's not spam, it's a legitimate email to my common ground publishing account. wowzers. found today: a crafty-critter who creates lego replicas of bands. 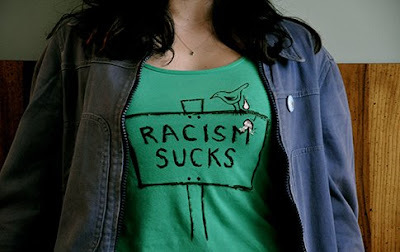 meanwhile, i am taking a sharpie to my t-shirts over at SoulPancake land. my new job has me list writing all day long. full credit for this one goes to my soul-gazelle-cortney-gusick. because everyone needs a new procrastination station, i introduce you to wiki-rank which allows you to easily compare how many times things are searched on Wikipedia. i compared nuts because it's likely that if you stopped me on the street i'd have some kind of nut in my possession. usually almonds. although i'm a fan of cashews too. especially the roasted salted kind. the only nuts i am not partial too are brazil nuts, or macadamias. you can keep those. anyway, as you can see below, the humble pecan was the loser of the group. 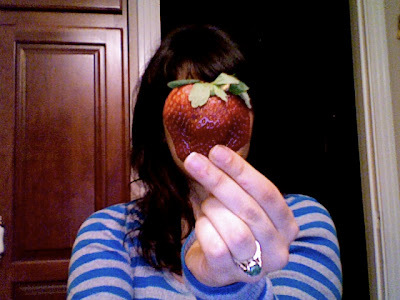 strawberries as big as my head. because i am over at soulpancake. 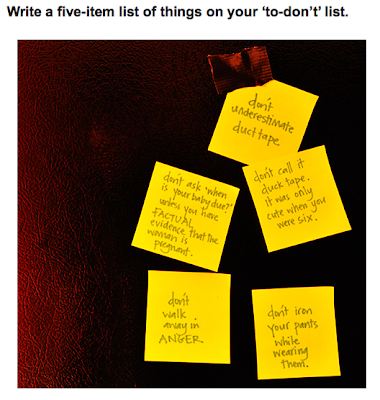 infusing it with my favorite thing in the world -lists. www.soulpancake.com is live and running. this means - devon no longer sleeps. i'm heading up the 'life's big questions' portion of the site and loving being part of such an amazing project. check it out and spread it. like butter on warm toast. mmm. can you tell i'm fasting? i really admire how devon's mum, nikki, puts her all into making an occasion as special as possible. if it's your birthday, she will make sure that there is a party happening for you. complete with your favorite cake. during ayyam-i-ha this year, the ceiling of the gundry's dining room was (still is) littered with colorful balloons. at first glance, you would assume helium was keeping them airborne, but i found out the trick was double-sided tape (super crafty AND thrifty!). as i was admiring the little touch of festivity, dev told me that when they were young, they would come home from school during ayyam-i-ha and get to choose a present from the wall. nikki would take toilet paper rolls and stuff them with treats and wrap them into little prizes. how adorable. this little tradition reminded me of the ones i loved as a child. one of those was coming home from school and greeting my grandmother who would be sitting by the window knitting up a storm. i would give her a huge hug and she would tell me that the 'tourchin' (armenian for little bird) had left me a gift. under the vase on the windowsill would be a strip of bazooka gum and it would literally make.my.day. the other thing it reminded me of is my mum pulling over on the side of the road so we could all pick plums off the trees. i remember cars whooshing by, as we all packed our pockets with as many sour plums as we could juggle. i know i am sounding all hallmark-card-like, but these women manifest the kind of mother i aspire to be. taking the time to enjoy each moment, being creative with what you have and creating sweet and lasting memories. i am lucky to have some super creative friends who are a constant source of inspiration. two of them, amy and leila, created a site last year called nineteen days, where they documented the baha'i fast through photographs. they would each take a photograph at dawn, and then at dusk, and post them as a composite with a quote from the baha'i writings, along with some brief musings on the fast. i loved this site and was eagerly anticipating it starting up again this year. well, you can imagine my excitement and glee (i love the word GLEE) when amy asked if i would participate this year. they asked 19 guest bloggers in total to post their dawn and dusk photographs for one of the days of the fast. my day was yesterday and you can see my photographs here. thank you amy and leila for letting me join in your delicious project. ironing my pants while wearing them. i was in high school. and i was running late. neither one of these facts excuses my momentary stupidity. but there you go. one day in assembly i popped the blister that had formed and my best friend jasmine, who had to endure watching this procedure, nearly threw up on the spot. i don't really know why i would share this pretty revolting story in a public sphere. blame plinky and its prompts. one of my favorite words is crepuscular, meaning active during the twilight. and my least favorite word? swab. the word has an ugly sound. and makes me think of the time the curiosity got the better of me and i searched youtube for flesh wounds and was forever scarred by what i saw.